Andrei Sakharov, the great Russian physicist, humanist and Nobel Prize winner, once remarked that a government that violates the rights of its own citizens at home inevitably also poses a threat to the international order. The Soviet government has shown this assertion to be true—as has Vladimir Putin’s government in today’s Russia. Boris Nemtsov—like Sakharov, a physicist and a democrat, whose political activism in the 1980s began with Sakharov's blessing—represented a very different kind of Russia than the current regime: a Russia that would respect the rule of law at home and behave as a responsible citizen on the world stage. Throughout his many years on Russia's political scene—as a member of parliament, as regional governor, as deputy prime minister, as leader of the opposition—he remained true to his principles: a free market economy, democratic accountable governance, political pluralism, respect for human rights. 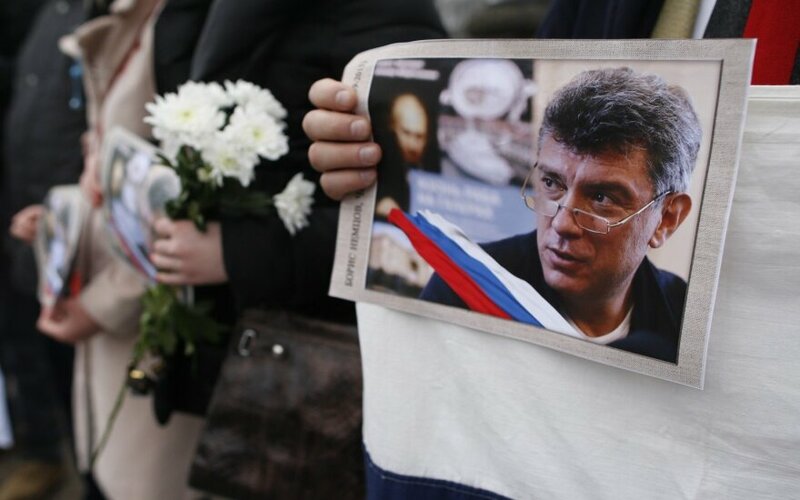 In later years, as the most prominent opponent of Putin's regime, Nemtsov raised his voice not only against the Kremlin's domestic abuses, but also against its foreign aggressiveness. In the last-ever march he would organize, in September 2014, he led tens of thousands of people through the streets of Moscow in protest against Putin's war on Ukraine. Nemtsov was also a friend of Lithuania—supporting its strive for independence as a member of Russia's first freely elected Parliament in the early 1990s; supporting its right to determine its own affairs in the face of Kremlin pressure under Putin. On March 11, 2015 Boris Nemtsov was supposed to be a guest of honor at a conference at the Lithuanian Seimas to mark the 25th anniversary of the restoration of independence. He accepted the invitation and was announced as a speaker. He never made it. On February 27 he was killed, by five bullets in the back, as he walked home across a bridge in the shadow of the Kremlin wall. Three days after his assassination, tens of thousands of people marched through the streets of Moscow in remembrance. The line of Muscovites who came to say their goodbyes at the Sakharov Center, where Nemtsov's funeral was held, stretched for several kilometers down the Garden Ring. To this day, Russians continue to bring flowers and light candles on the spot where he was killed on Bolshoi Moskvoretsky Bridge in what has become an unofficial memorial. You can kill a human being, but you cannot kill his memory or the principles he stood for. The Russian authorities have been trying. For three years, they rejected all public initiatives for an official commemoration of Boris Nemtsov; removed signs installed by private citizens; continuously pillaged and destroyed the makeshift memorial on the bridge. With every such action, they sent a clear signal that they would not allow Russian citizens to honor a Russian statesman in Russia. So citizens of free countries have stepped in. 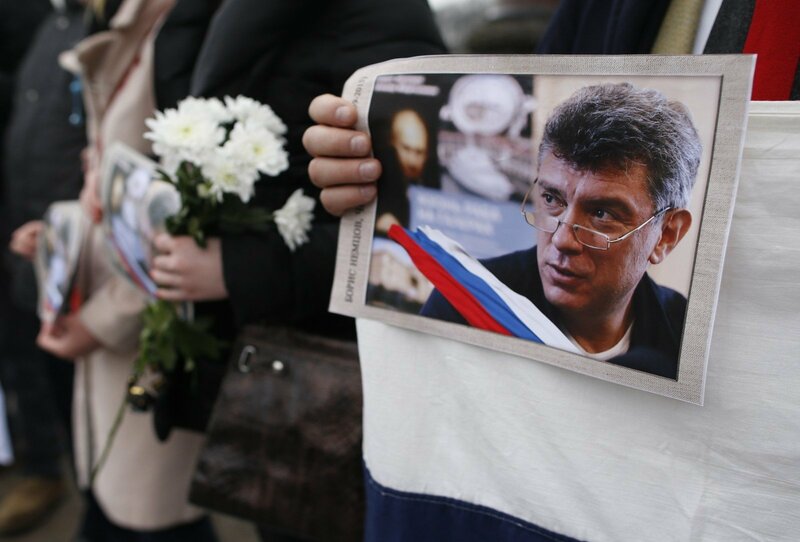 In January of this year, the Washington DC City Council unanimously passed a law to name the block in front of the Russian Embassy as Boris Nemtsov Plaza in what became the world's first official commemoration for the late Russian opposition leader. The unveiling ceremony was held on February 27, the third anniversary of his assassination, with Members of the U.S. Congress, officials from the U.S. government, as well as Nemtsov's friends and family participating. Days earlier—apparently realizing how sharp the contrast would look—the Moscow city government announced that it will reverse its position and allow a memorial plaque on the apartment building where Nemtsov lived. It is important to continue the work of commemoration—and to make it clear to the Kremlin that it will not succeed in trying to erase the memory of a great Russian statesman. At the unveiling ceremony for Boris Nemtsov Plaza in Washington, Ukrainian Ambassador Valery Chaly promised that Kiev will become the next world capital where Nemtsov's name is commemorated. The city council is working on legislation to name a park near the Russian Embassy in Nemtsov's honor. Similar initiatives are underway in Canada. In February 2016 the Vilnius City Council, with the backing from Mayor Remigijus Šimašius, unanimously passed a resolution in support of commemorating Boris Nemtsov in the Lithuanian capital. But more than two years on, no concrete steps have been taken. It is time to keep that promise. And this can be done without changing any current names on the map of Vilnius. There is a park in front of the Russian Embassy that is currently unnamed. It would be more than appropriate to give it the name of a Russian statesman. The "ten-year rule" that is sometimes mentioned in this context is not a legislative requirement, but an unspoken convention. As with many conventions, there can be exceptions—like the one made in the case of the late Polish President Lech Kaczyński, in whose name there is now a street in Vilnius. The tragic death of a European head of state was an exceptional occasion. So is the brazen assassination of an opposition leader in another European country. The best possible tribute to Boris Nemtsov and to his legacy will be a free and democratic Russia that he hoped to see and he dedicated his life to fighting for. We are certain that day will come. And when it does, there will be Nemtsov streets across Russia—and Russian Embassies in Washington, Kiev, Vilnius, and other world capitals will be proud to be standing on squares and in parks named after a Russian statesman.